Abbott Perative Therapeutic Peptide Nutrition is designed for metabolically stressed patients who can benefit from an enteral formula supplemented with arginine. For tube feeding. For supplemental or sole-source nutrition. 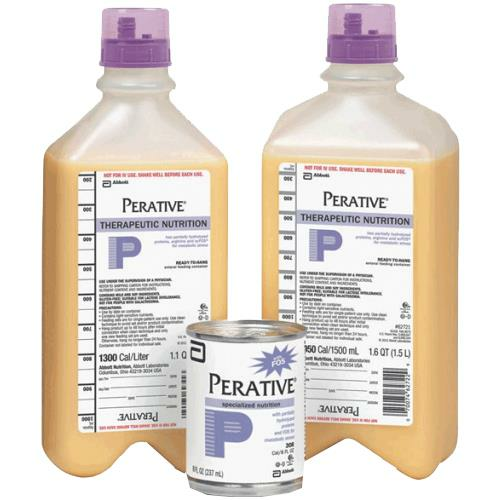 Perative Nutritional Supplement is a ready-to-feed formula designed for metabolically stressed patients with pressure ulcers, multiple fractures, wounds, burns, or surgery who can benefit from supplemental arginine. How To Use Abbott Perative Nutrition Supplement?